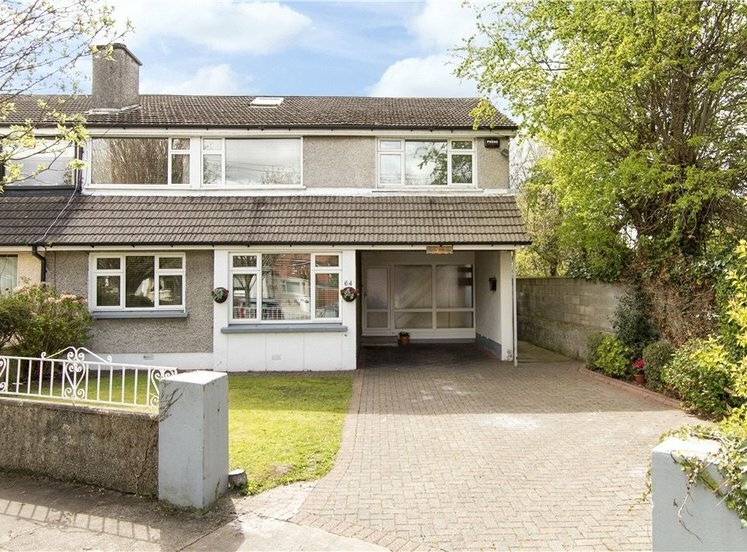 Spacious family home of approximately 120 sq.m. (1,292 sq.ft.). Private low maintenance rear garden with shed for extra storage. Ample off street car parking. 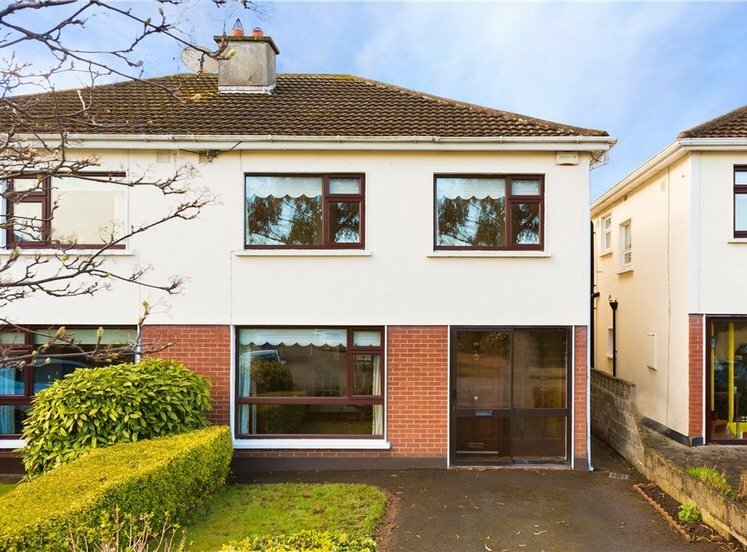 Super residential location close to local amenities at Knocklyon Shopping Centre. 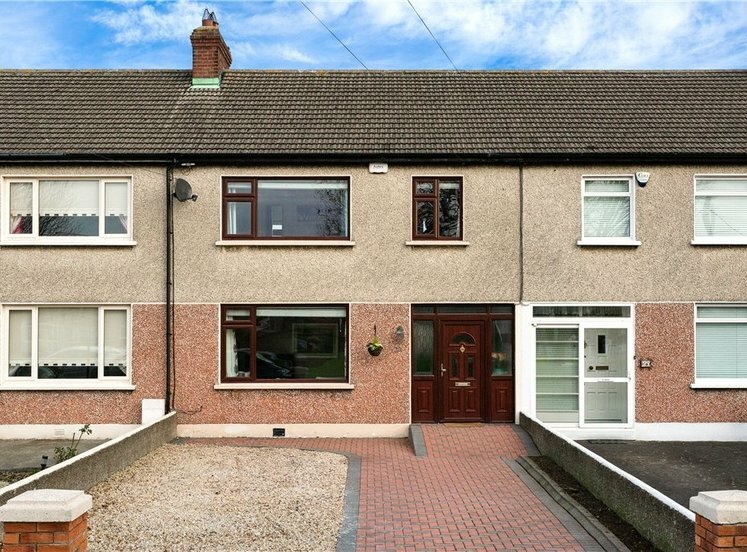 A very fine extended semi-detached family home discreetly tucked away off Knocklyon Road, within walking distance of a host of local amenities. 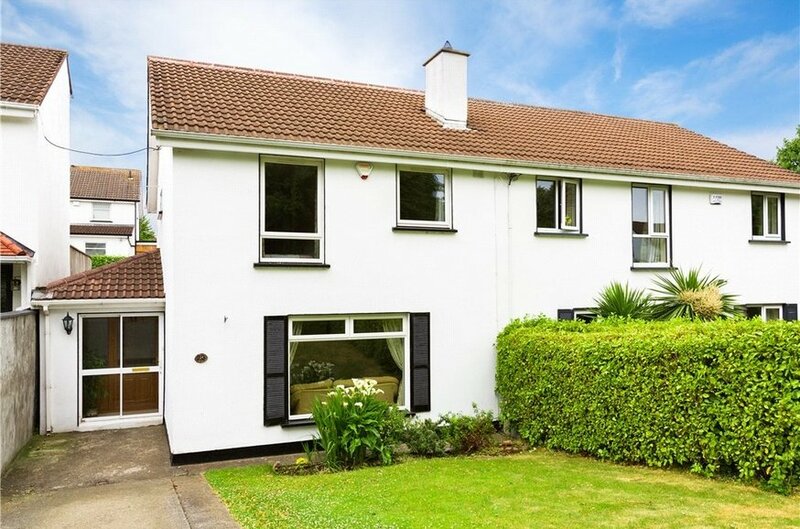 This superb property offers spacious well-proportioned accommodation of approximately 120 sq.m. 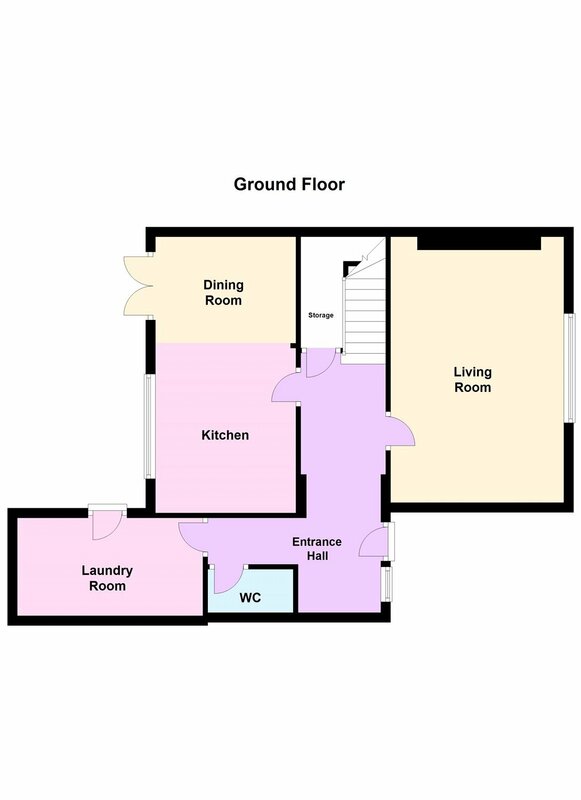 (1,292 sq.ft.) 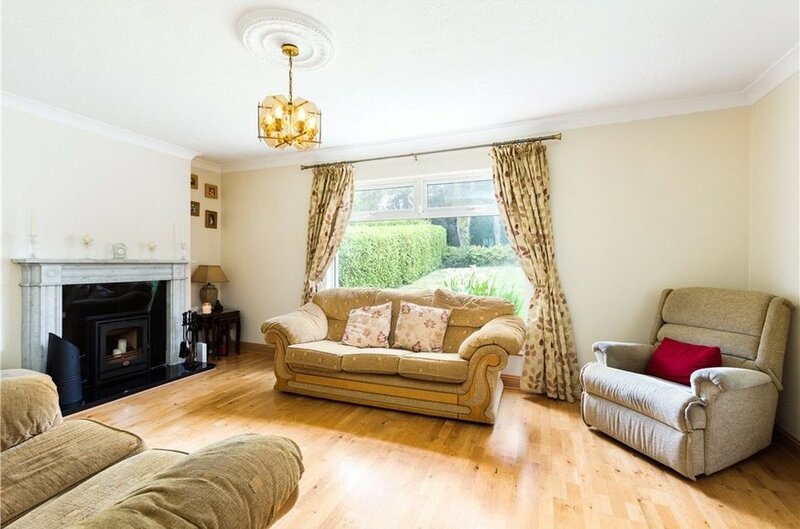 and briefly comprises of a large entrance hall with separate w.c., spacious living room with feature multi-burner stove and large picture window overlooking the front lawn. 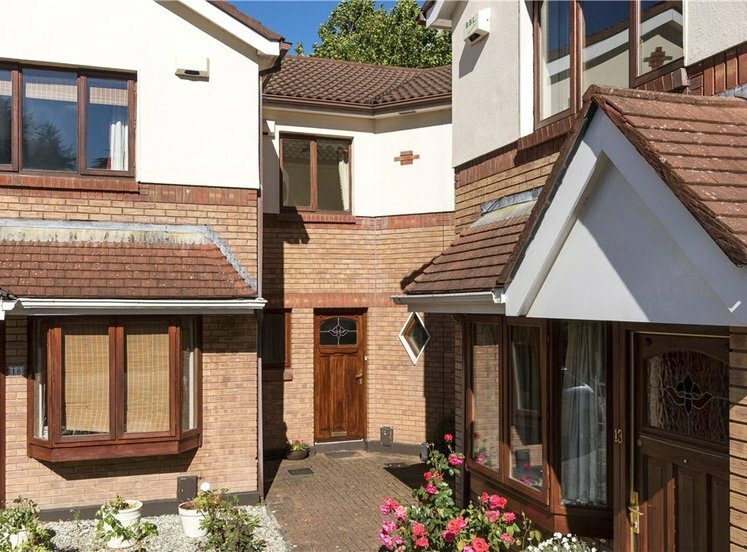 To the rear of the property, the kitchen / dining room comes fully fitted with excellent range of fitted cupboards and units, and a large utility room with excellent storage, both rooms with direct access to the rear garden. 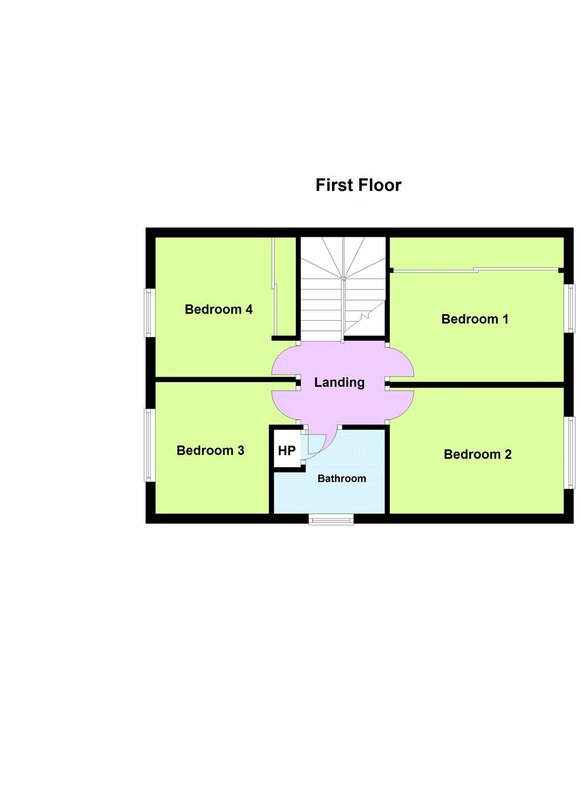 Upstairs on the first floor there are four spacious bedrooms and a family shower room. 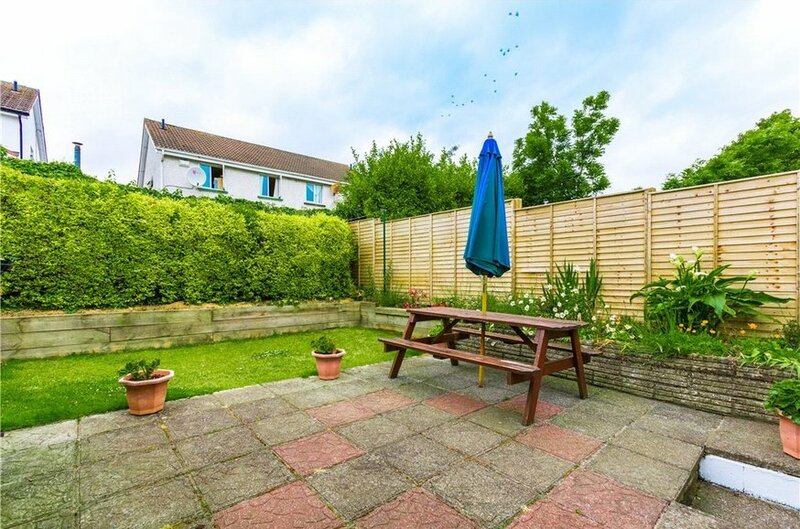 Outside to the front there is a spacious driveway providing ample off-street parking, along with a lawned garden. The rear garden is mainly laid out in patio with bordering shrubs, perfect for al fresco dining and benefits from a westerly orientation. 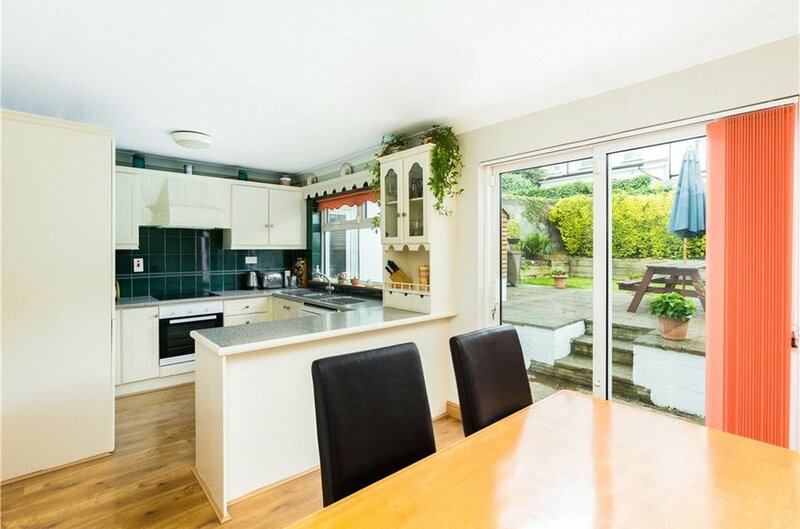 The property further benefits from direct access to a leafy communal green area to the front. 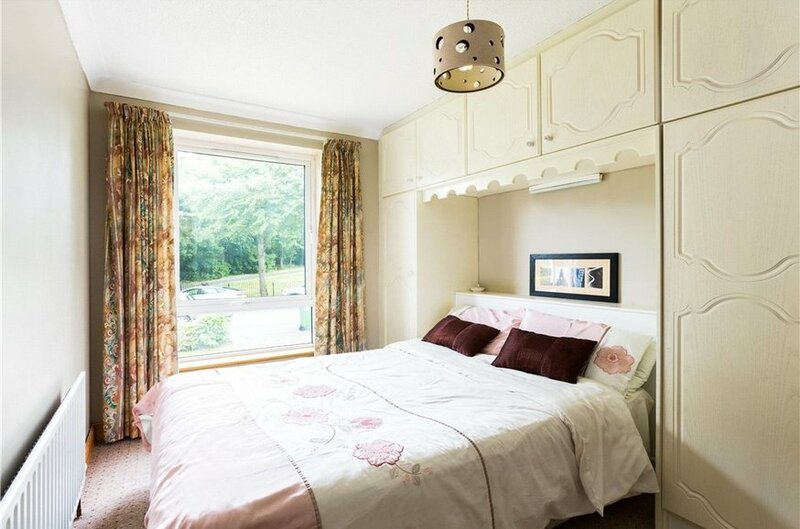 Dargle Wood is a superb residential area, in the heart of Knocklyon with every conceivable amenity on the doorstep. 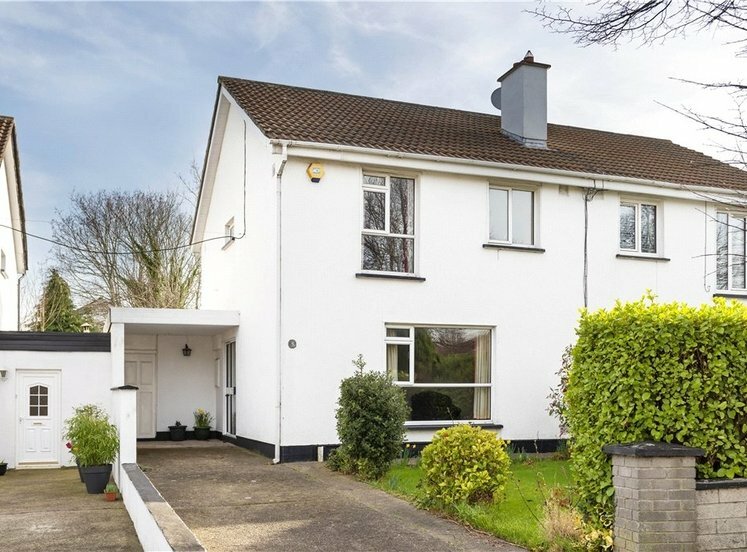 The location offers a superb selection of well-established schools, both primary and secondary including St. Colmcille’s Community School, the local church at St. Colmcille’s Church and an excellent range of shopping facilities locally at Knocklyon Shopping Centre with easy access to Dundrum Shopping Centre. The commute to Dublin City Centre is well serviced with the 15 bus route, whilst the M50 is accessible locally providing direct access to the regional motorway network. Local parks are in abundance being at the foothill of the Dublin Mountains. with w.c., w.h.b, fully tiled floor and walls. 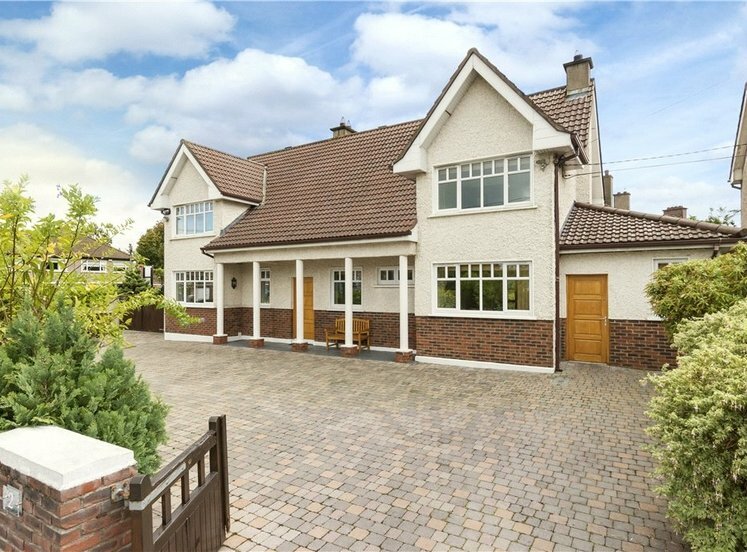 with semi-solid wood flooring, picture window overlooking the front, fireplace with granite surround and multi-burner stove. 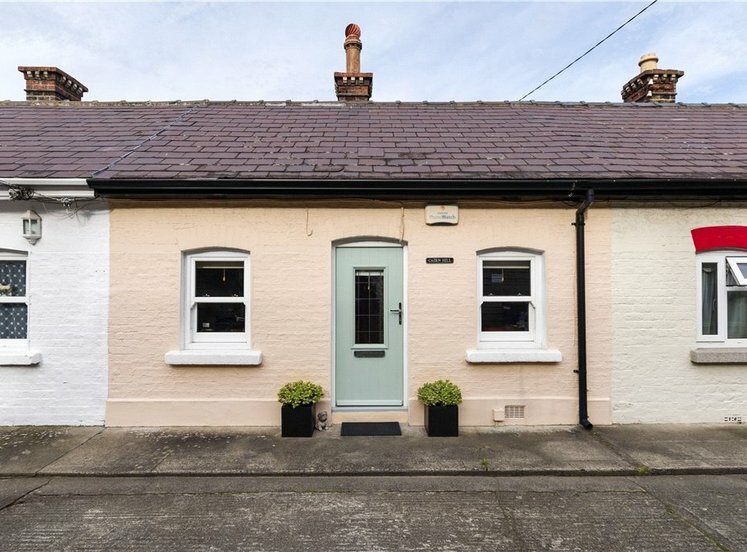 with laminate flooring, range of cupboards and units, plumbed for dishwasher, integrated Zanussi hob and oven, window overlooking the rear. with extra storage and plumbed for washing machine and dryer. with built-in room length sliderobe wardrobes. 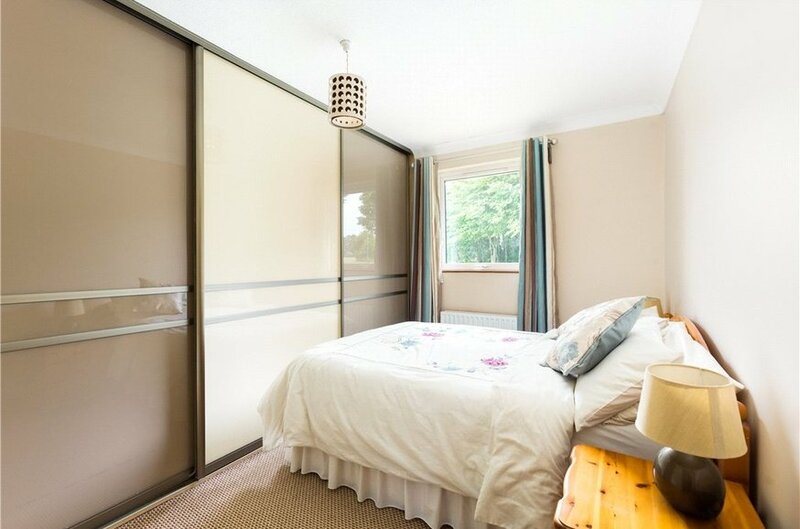 with built-in sliderobe wardrobes and venetian blinds. with w.c., w.h.b., built-in corner shower with Trition T90XR shower and Mira pumped shower, hotpress, fully tiled floor and walls. 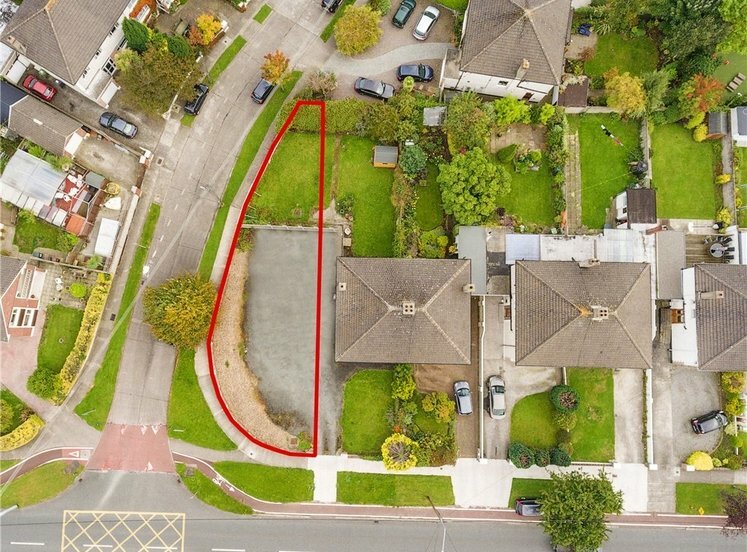 The garden to the front is an attractive low maintenance garden with a driveway offering ample off-street car parking. The rear garden extends to approximately 33 ft and is mainly laid out in patio with bordering shrubs offering a high degree of privacy. A wooden shed provides additional storage.